Here's just a small sampling of the historical treasure the GGHS has helped preserve over the years. Photo by David Fluit at the Tacoma Siding on the Durango and Silverton, August, 2015. The historical treasures - wait, not the crew, the treasure is the Goose #5. 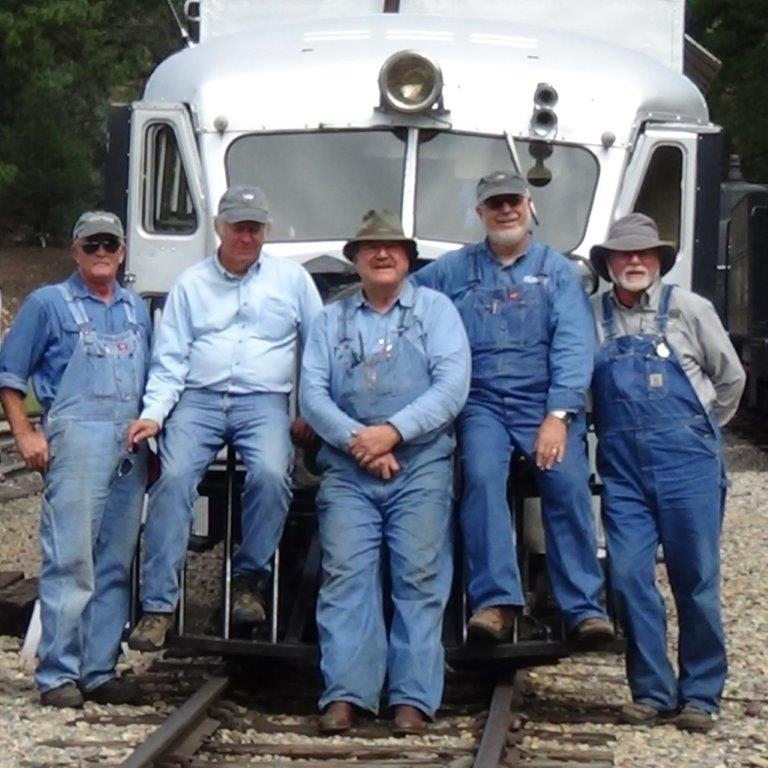 Crew: Larry Spencer, Scott Gibbs, John Randall, Joe Beringer, Joe Becker. MEETING OF GOOSE #4 AND #5 IN SILVErTON, DURING RAILFEST, 2015. A chilly day but warmed by the enthusiasm of the passengers and crew. Continued - see also Coach 256 page.